Last week, I was asked to be panellist at the closing session of the World Congress on Agroforestry in Delhi. The topic for the panel discussion was agroforestry and the Sustainable Development Goals. Dennis Garitty, former Director-General of ICRAF the World Agroforestry Centre had made the point in his key-note speech that we need new approaches towards agro-forestry and that the time has come to look for innovation and out-of-the-box solutions. My message was that bamboo and rattan are excellent tools to help reach these goals, and that they should play a key role in future agro-forestry schemes. I made the case that bamboo is found throughout the tropics and sub-tropical belt; that it is arguably the fastest growing plant in the world and that cultivating bamboo is relatively simple compared to other crops. 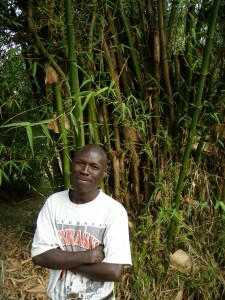 Therefore, bamboo could be one of the innovative solutions that Dennis Garrity was asking for. I explained that bamboo is directly helping to reduce poverty and provide alternative income for local people, for example by transforming the bamboo into charcoal. This is a sustainable practice, as bamboo grows back after harvesting, it produces good charcoal with a high calorific value and the smoke from bamboo charcoal is cleaner than smoke from a wood fire. 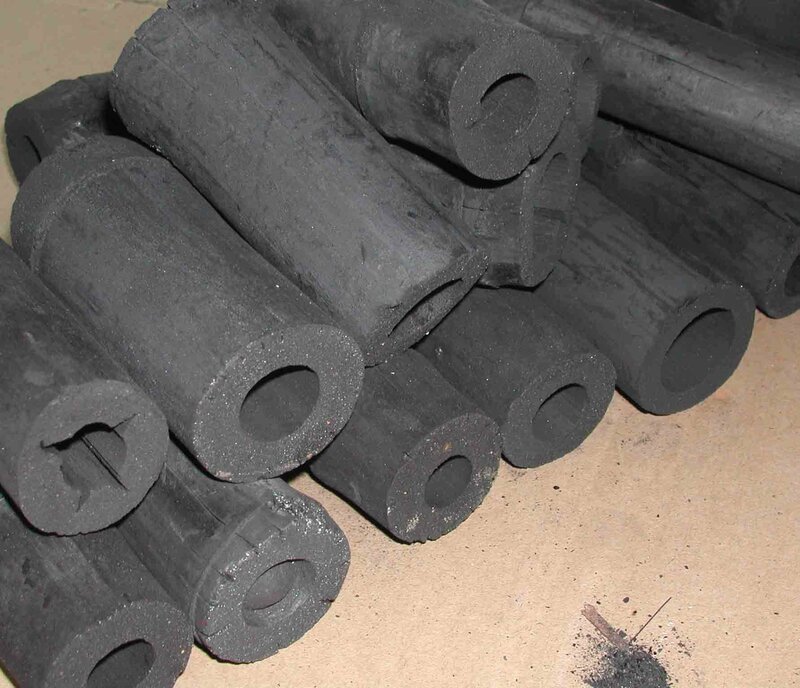 What I did not stress is that charcoal can be used in fuel-efficient stoves, using smaller quantities of fuel and reducing the smoke production even more. I stressed the environmental aspects of bamboo, especially the ability to bind soil, maintain slope stability and therefore the potential to help combat soil erosion and land degradation. I also made the point that a bamboo forest absorbs more Carbon Dioxide than an equivalent forest of fir trees, by showing one of the graphs of the INBAR publication on bamboo and climate change. Finally, I explained that bamboo also has a major economic role to play. Traditionally, bamboo and rattan were mainly used for mats, baskets and furniture, and this is still a major economic activity for many local communities and individual households or small enterprises. The future for bamboo production is to enable large-scale landscape restoration, create industrial building materials of high quality and high value and maybe provide a source of bio-ethanol and bio-butanol. I concluded by reiterating that bamboo and rattan are extremely helpful tools for the goal of sustainable development, and urged the agro-foresters in the room to consider bamboo in their future planning. 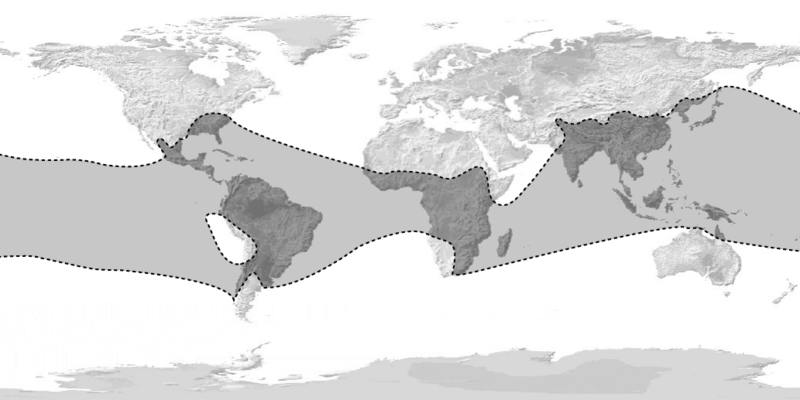 When you look at the map of the distribution of all types of bamboo, it covers a tropical and sub-tropical belt from southern USA to Brazil, via the central part of Africa to South, South East and East Asia and several islands in the Pacific, including a small part of northern Australia. What struck me when I saw this map for the first time was that bamboo is not just an Asian crop, but there is a lot of bamboo in Africa and America as well. Yet, I had never heard much about the uses of bamboo in these continents. I understand that this is due to historical and cultural reasons, as farmers and communities in Africa and America have traditionally not embraced bamboo as a valuable species. This is changing, and INBAR has offices in Addis Ababa, Ethiopia and in Kumasi, Ghana that are coordinating our work in Africa, and we have an office in Quito, Ecuador to cover Latin America and the Caribbean. What also is apparent from the map is the potential to extend the current bamboo cover to other areas within the natural bamboo belt. I am not advocating that food-crops or natural forests will be transformed into bamboo plantations, but bamboo is an excellent tool for landscape restoration and slope erosion control, and therefore we should promote bamboo plantations on degraded land. I talked last week with the Ecosystem Return Foundation, an organisation recently set up by Willem Ferwerda, formerly the Director of IUCN in the Netherlands, and their goal is to restore large-scale degraded ecosystems worldwide, with partners in business. They have experience in China, but have not used bamboo as a specific tool. Willem and I discussed a possible partnership between the Ecosystem Return Foundation and INBAR using bamboo for ecosystem restoration purposes, and I hope to be able to announce a joint initiative in the coming year. 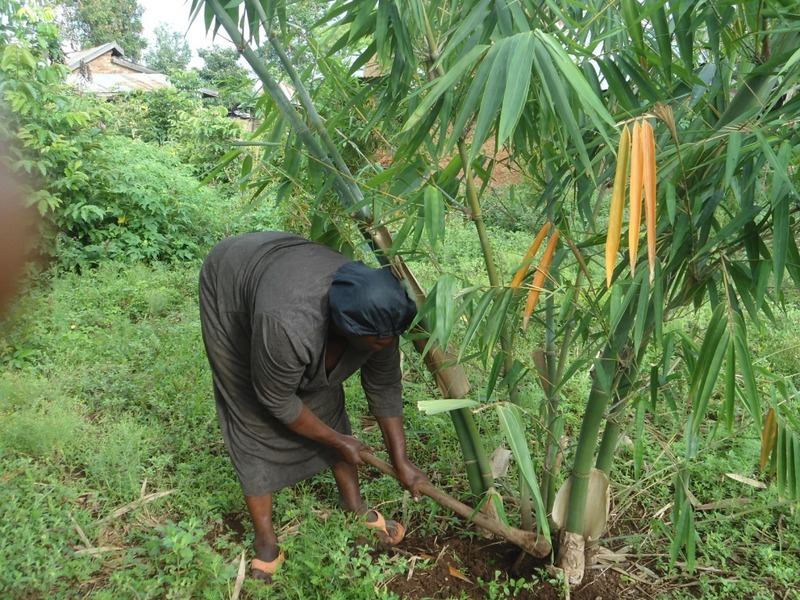 Bamboo could create a new vegetation cover for degraded land, help to stop erosion, but also provide local farmers with an alternative income source. 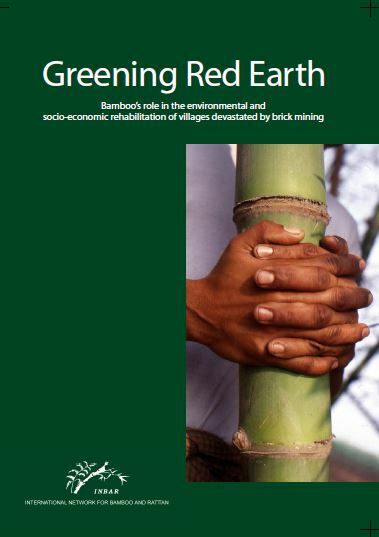 INBAR has done this in India, and there is an amazing technical report on our website that describes how a devastated brick-earth area near Allahabad was restored using local bamboo. What surprises me is the fact that bamboo is not yet used in many other places where it could be the species of first choice. As my colleague Lou Yiping put it in a recent interview: bamboo could help to stop deforestation in Africa!. A final thought that came to my mind is: What will be the effect of climate change on the distribution of bamboo? There are some 1200 different types of the species, and therefore I assume climatic changes may simply mean adaptation from one type of bamboo to another, but the question is whether the overall range will expand or contract or stay the same. This will be interesting piece of research.